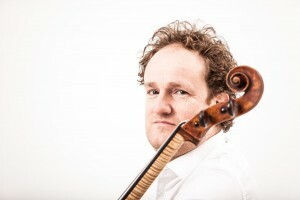 Born in Holland and currently living in Amsterdam and Munich, Floris is playing as principal cellist in the Munich Philharmonic Orchestra from september 2014. Since 1990 he has been playing in many orchestras on this position, among them the Rotterdam Philharmonic Orchestra for more than 10 years, and has gained a lot of experience as an orchestral player. Besides that, he likes to teach and perform as a chamber musician and a soloist. 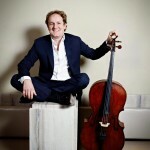 Floris started cello lessons at the age of eight and studied with the renowned cello pedagogue Jean Decroos at the Royal Conservatory of Music in The Hague, the Netherlands where he graduated in 1990. He also followed masterclasses with Heinrich Schiff and Mstislav Rostropovich. From an early age orchestral playing has been a main focus in his musical life, at first in many youth and student orchestras, among them the European Union Youth Orchestra. In 1990 he became principal cellist in the Arnhem Philharmonic Orchestra and from 1992-2001 he played in the same position in the Radio Philharmonic Orchestra Hilversum. From 2001-2015 he was the principal cellist in the Rotterdam Philharmonic Orchestra and recently moved to Germany to play on this position in the Munich Philharmonic Orchestra. He has been invited as a guest leader in many orchestras, among them the Royal Concertgebouw Orchestra, London Symphony Orchestra, the Philharmonia Orchestra, Radio Symphony Orchestra Frankfurt and Bamberg Symphoniker. He has worked with many of the greatest conductors, such as Claudio Abbado, Bernard Haitink, Lorin Maazel, Sir Simon Rattle and Zubin Metha. Floris is a passionate chamber musician and played with inspiring musicians like Leonidas Kavakos, Emmanuel Ax, Christian Poltera, Phillipe Graffin and Daniel Rowland. He plays in many formations, among them the prize winning Ensemble Caméléon, a group of seven string players from leading Dutch & German orchestras. As a soloist he has played with many orchestras, among them the Rotterdam Philharmonic orchestra with great conductors as Valery Gergjev and Yannick Nezet-Seguin. In the next season he will play the ”Rococco Variations” by Tschaikovsky with the Rotterdam Philharmonic Orchestra and maestro Jaap van Zweden. A new exciting project is Splendor Amsterdam. Floris is a member of a group of musicians running an inspiring new music building in the Centre of Amsterdam. Splendor is a huge success story on the Dutch music scene as an example of cultural innovation. A team of 50 top musicians based in the Netherlands helped to transform the vision of Splendor into a reality when it opened its doors in September 2013. Run by musicians for musicians and music lovers, Splendor crowd-funded the renovation of this building for performance, rehearsal and social venue through its 1000 plus-membership base. With 8 performances per week, regular live radio broadcasts on Dutch Radio 4 and an educational foundation – Splendor Kids – providing music lessons for children of all ages in Dutch and English, Splendor is an outstanding example of a dynamic business vision in a cultural setting.